The most innovative racing series in the world likes to do things differently. One example of this is Formula E’s advertising campaign. 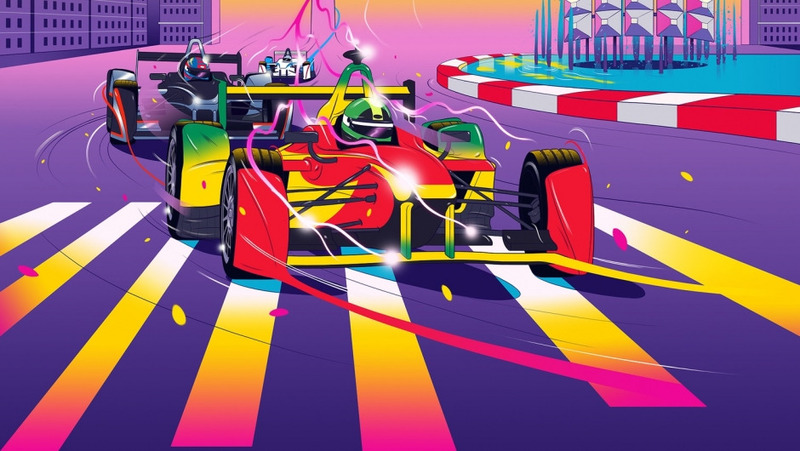 Ahead of each race, Formula E releases a specially designed poster which not only features the main attractions of the host metropolis but also sheds light on its culture. The illustrations are the work of New Zealander Andrew Archer and his business partner Kelly Thompson. 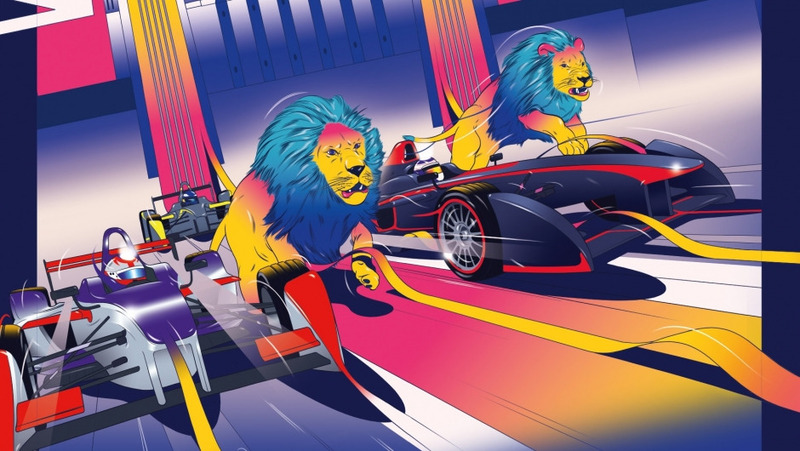 In an interview with DHL InMotion, Archer talks about the creative process, the underlying inspiration and the genesis of the current Rush Hour poster for the London ePrix season finale. Andrew, when did you first hear about Formula E and why did you sign up to create the illustrations for this series? My business partner Kelly Thompson at UNA Studio and myself were approached by VCCP London [an advertising agency based in London] to collaborate with them to create something special and unique for Formula E. We had heard of Formula E, but we were more familiar with Formula One. As we learnt more about it we knew it would be a fantastic project to be part of. What do you think of Formula E personally? 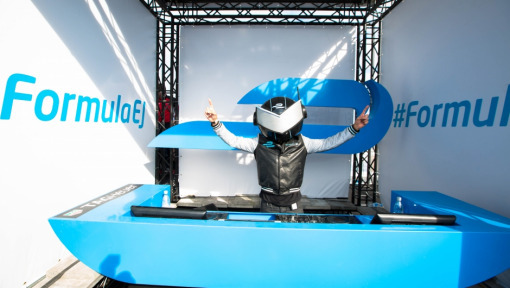 We think that it is great how Formula E is embracing technology and taking racing into the future. We are particularly fond of how the audience can be involved in various ways using technology and find the use of city streets to be much more exciting and interesting than a standard track. 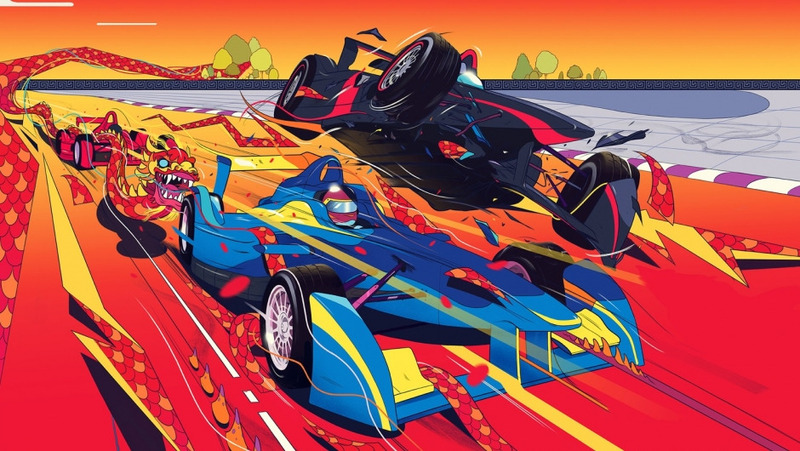 Why did Formula E decide to commission illustrations prior to each race? 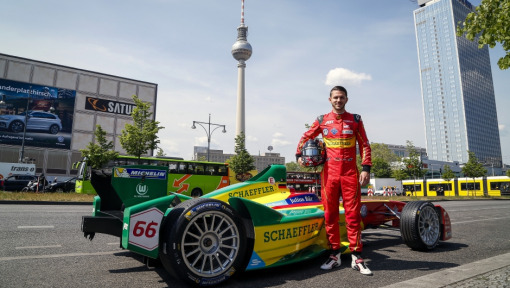 Formula E is an inner-city car chase anyone can be part of. It gives everyone a chance to 'Drive the Future'. The team at VCCP were interested in the idea of this next generation of racing and wanted to create posters that were inspired by gaming-influenced sport experience. They wanted to bring the visual excitement back. We wanted to bring the tracks to life. How do you and your partner Kelly find the inspiration to create those visuals? For us the circuits, cities and culture found in those cities played a huge part in our inspiration, palette and direction for the final artwork. We wanted to connect the energy of the city and circuits with the cars and bring the tracks to life. 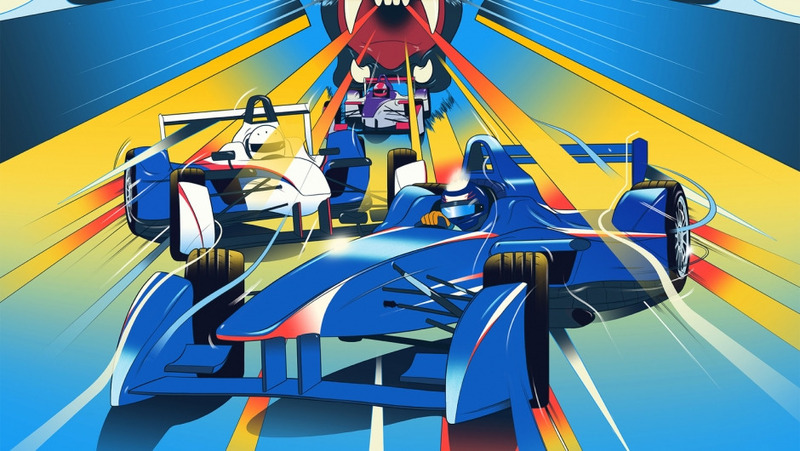 What is the exact process of creating such a Formula E illustration? First, we are breaking down what makes each city and circuit unique. A month or two before each race the team at VCCP provides us key highlights from the previous season and any information about important buildings or monuments from each market along with cultural references. After some further research, we do draft sketches to explain our ideas to VCCP. These were either approved or adjusted and then we were often asked to provide an idea of what kind of palette we had in mind, we would mock these up very roughly on the draft line work. From there I redrew the lifework and then the coloring would begin. We always try to capture the energy of the city with the color, but in a unique and surreal way. 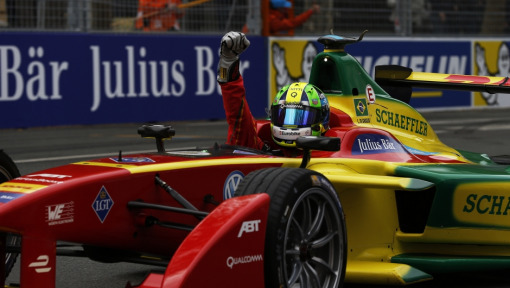 Formula E is embracing technology and taking racing into the future. Such a process starts with ideas, which are then put to sketches, then to good linework and shown with color ideas which would be signed off and we would then create the final. This can take anything from 2-6 weeks in total depending on how strong the concepts are, if there are revision rounds and specific feedback from the markets. The final poster for the London ePrix has already been published. How far in advance do you submit your work? Yes, we finished it in early May. We were working roughly 2-3 races ahead of the schedule so they could create the master artworks and provide to each market for any marketing needs leading up to the race. We really enjoyed this as we could see the races throughout the project and see the public response to the imagery. What projects have you worked on before Formula E? I have been an illustrator for around 10 years and have worked across a large range of commercial projects, it was just something that I become interested in at a young age and turns out I am ok at it! 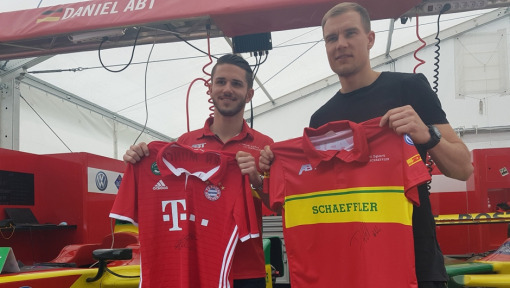 I have worked with Red Bull Racing and Formula 1 a few times over the years as well as other sporting brands such as Nike & Adidas.